So I took the graphite penciles out of retirement and drew this little drawing of Honey. 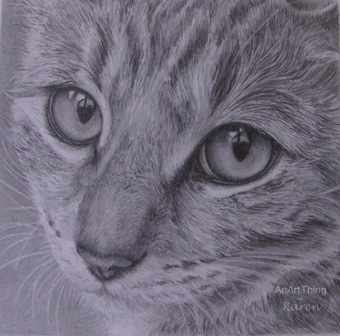 Drawn on Bristol Board 16cm x 13cm with Faber Castell 9000 with Polychromos on the eyes. Thanks to P Lane for the use of the original photograph. 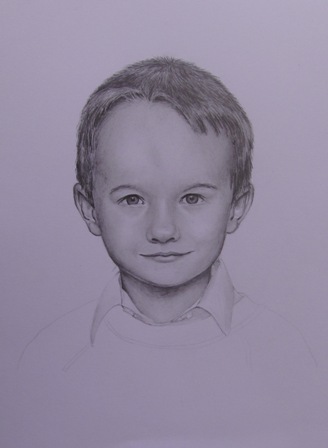 I have started a new drawing, but there really isn’t much to show yet, so I am reposting one of my favourite drawings. Originally the title for this drawing was ‘I Said I Wanted Chicken!’ The cat’s name is ‘Blink’ and I think I shall, at some stage, be redrawing, but with coloured pencils and not graphite, as used here. 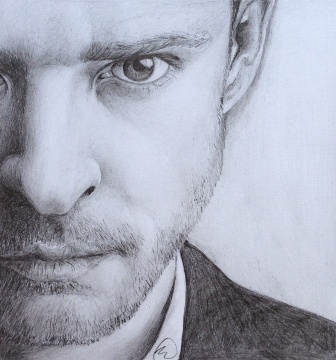 This is my drawing of Justin Timberlake following the post from DrPencil (@RickForTson) on Twitter who asked artists to draw the picture so that he could compare their interpretations. 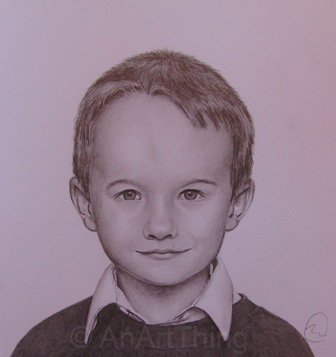 The second drawing of my son is finished! I used Faber Castell 9000’s 5H, 2B, 5B & 8B. 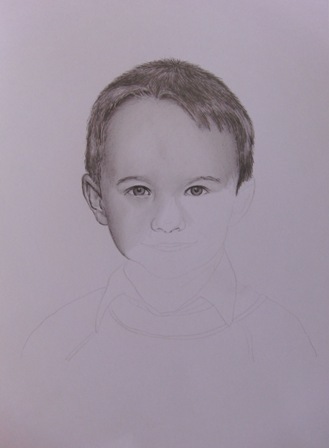 Just a little update – the hair is almost finished and then onto the tricky bits – nose and mouth!! 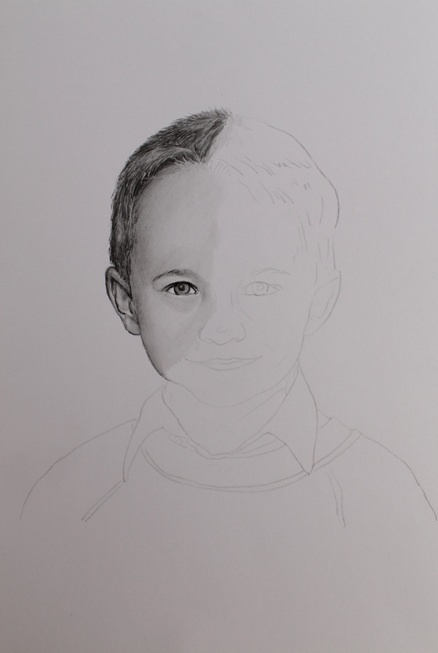 Here is the start of another drawing of my son when he was about 6 years old. Just using the 3 grades of Faber Castell 9000 pencils – 5H, 2B and 5B.